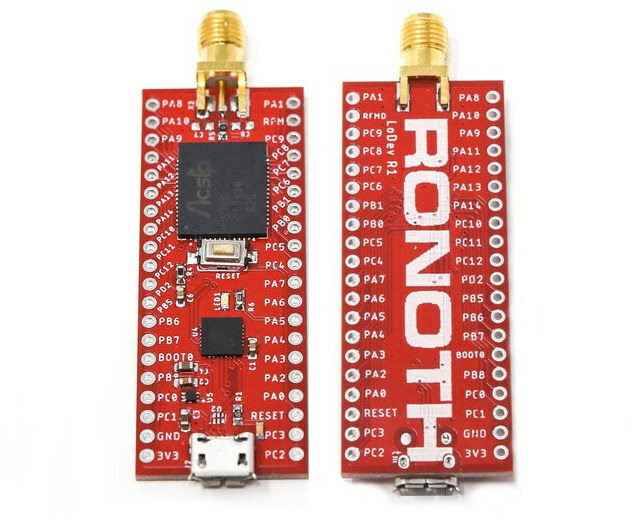 There are already plenty of low power boards with a LoRa radio, but Ronoth offers another option with their tiny LoDev S76S LoRa development board featuring AcSip S76S SiP (system-in-package) with STMicro STM32L073 microcontroller, a Semtech SX1276 LoRa radio, and other components. While most hobbyist LoRa boards are designed to be programmed with the Arduino IDE, LoDev S76S is instead compatible with Arm Mbed. The board has been designed to work with Arm Mbed IDE using NUCLEO_L073RZ target, but it could also be programming with any STM32 / Arm Cortex compatible IDE. Arduino programming would be possible in theory through Arduino STM32 port, but there’s no Arduino bootloader for the board, so it would have to be developed. The board target usual LoRa / LPWAN applications including tracking cattle, monitoring environmental data for farming, asset tracking, utility meters, pest control and so on. Ronoth already implemented the board into example projects including weather sensors and a mailbox notifier. The company also highlighted the advantages of Acsip S76S SiP compared to other solutions such as in the table below. LoDev S76S has launched on Crowd Supply with a $4,500 funding target. 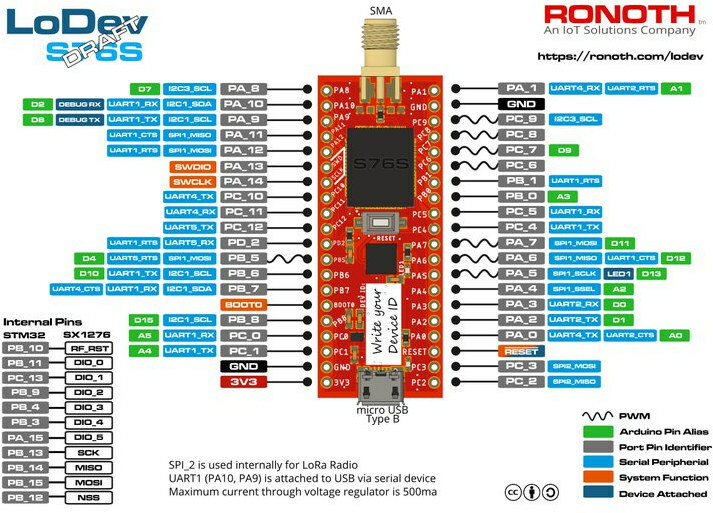 Pledges start at $35 for LoDev S76S Basic including the board, two headers, and a 2dBi antenna. You’d need your own ST-Link V2 programmer, so if you don’t have one you may consider the LoDev S76S starter kit instead. Other rewards include LoDev Duo Basic with two boards for point-to-point communication ($65), and LoDev Pro weather station with two boards and various sensors (temperature, humidity, light, and soil moisture) for $89. Shipping is free to the US, but adds $6 to $26 to the rest of the world depending on the chosen rewards. Backers should expect their boards to be shipped around May 20 if everything goes according to plans. Interesting they left out the RAK modules that have almost the same hardware, slightly poop firmware but do have regulatory cert for a lot of regions and are in the same price range. bluepill + lorashield, probably around 5eur total.